St. Martin's Paperbacks, 9780312966690, 256pp. From her first book in 1934 to her final volume just before her death in 1982, Ngaio Marsh's work has remained legendary, and is often compared to that of Agatha Christie and Dorothy L. Sayers. 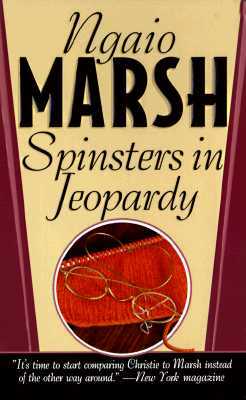 During her celebrated fifty-year career, Marsh was made a Grand Master by the Mystery Writers of America, was named Dame Commander, Order of the British Empire, won numerous prestigious awards, and penned 32 mystery novels.